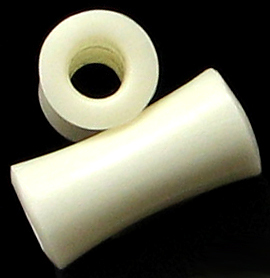 White bone hollow saddle plugs are the perfect choice to fill your stretched piercings. 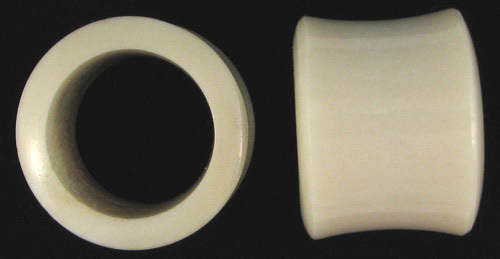 These water buffalo bone double flared gauge plugs were hand carved in Indonesia. 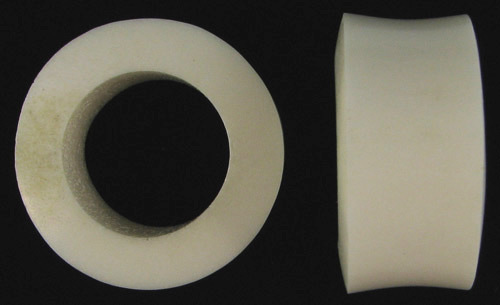 Since these ear tunnels or eyelets were handmade instead of being mass manufactured, some variation is present from pair to pair. 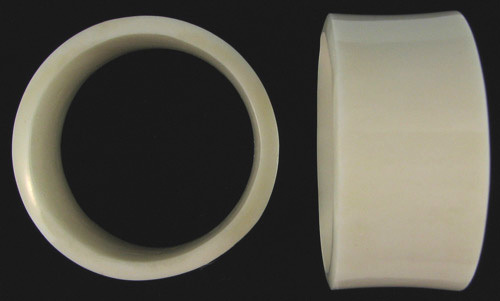 4 gauge (+$6.00) 3 gauge (+$6.00) 7/16 inch (+$22.00) 9/16 inch (+$34.00) 5/8 inch (+$40.00) 3/4 inch (+$40.00) 1-1/8 inch (+$76.00) Select your size and click "Add to Cart".